Get to know the following tracks corner by corner, and if you haven’t already been to the track or ridden it, be sure to have your bike ready and in line at our 7am tech inspection. Why? 2Fast loads up trucks and takes guests onto the track at 7:40am for a complimentary track ride around prior to the start of the day. During the ride around, we not only show you the entire track before your first session, but we show you the lines around the track and give you tips on how to navigate every turn. So be sure to arrive well before 7am (gates open at 6am) in order to join us for the ride around. 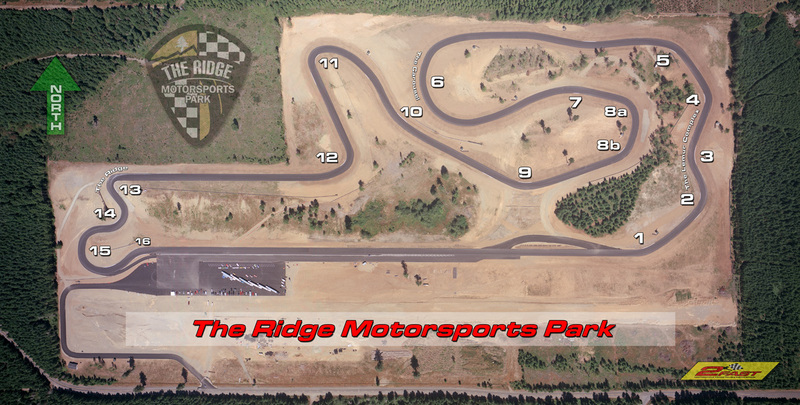 Here’s a look at the 2.4 mile, 16 turn road course of The Ridge Motorsports Park, located in Shelton, Washington. Here’s a look at the 2.2 mile, 10 turn road course of Pacific Raceways, located in Kent, Washington. Below is the 1.9 miles, 9 turn road course of Portland International Raceway, located in Portland, Oregon. Oregon Raceway Park is a 2.3 mile, 15-turn track out near Grass Valley, Oregon.